How many alumni can we squeeze on a page? Not enough, as this listing is but a smattering of talented musicians who claim BYU as their alma mater. Listed here are some of the famous and rising musicians you never knew bled blue. POPULAR & JAZZ | Dean S. Dutton (BA ’68), Shelia Porter Dutton (BA ’69), Judith Lamoreaux Dutton (’92), Timothy D. Dutton (’95), Jennifer Frandsen Dutton (BS ’96), Jonathon M. Dutton (’98), and Amy L. Dutton (’98): Nine-member family bluegrass ensemble; made the top 10 on NBC’s America’s Got Talent. Jay U. Lawrence (’83): BYU percussion professor; performed with Sammy Davis Jr., Lou Rawls, Della Reese, and other greats. Daniel T. Truman (BA ’84) plays keyboard for Diamond Rio, the Nashville band that has earned nine Grammy nominations, sold more than 5 million records, and repeatedly won top country-music awards. 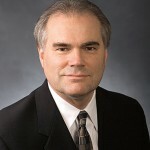 Quint B. Randle (BA ’84): BYU communications professor; reached No. 1 on Power Source magazine’s top-20 list. Jeffrey L. Hinton (BA ’86): Singer and songwriter; performed twice in theCharlie Daniels’ Talent Roundup, broadcast nationally on The Nashville Network; also a member of the band Joshua Creek. Tony J. Martin (BA ’86): Songwriter; has had 12 No. 1 country hits, including chart toppers for George Strait (“Go On”), Tim McGraw (“Just to See You Smile”), and others. Ronald M. Saltmarsh (BA ’87): Composer and musician; member of jazz duo This Way That with Daniel T. Truman (BA ’84); composed promos for CMT, ESPN, and more. Jenny Jordan Frogley (’93): Singer; opened for Ray Charles and has recorded on nearly 100 albums. D. Bryan Long (BM ’93): BYU assistant lecturer and saxophonist; plays in the 10-piece soul ensemble Wave O’ Blues; arranged music for motion pictures, including X-Men movies. David H. Tolk (BA ’93): Attorney, pianist, and guitarist; member of the band Big Parade; has released six solo albums. Wilford M. Kimball (BM ’94): BYU trombone professor; international jazz and symphony performer; has recorded for The Sandlot and other movies. Bret P. Bryce (BS ’01), Abe R. Mills (BA ’00), Dave R. Kimball (BA ’02), and Justin T. Smith (BA ’02): Former Young Ambassadors; joined to create boy band Jericho Road. Lisa K. DeSpain (’91) was the American Society of Composers’ 2000 Emerging Jazz Composer of the Year. She has received a fellowship from the National Endowment for the Arts and three commissions from the American Composers Forum. Bart J. Olson (BA ’03) and Craig K. Miner (BS ’77): Members of Ryan Shupe and the Rubberband; their album Dream Big climbed to No. 13 on Billboard’s country charts. John R. Preator (BFA ’05): Singer; belted out Michael Bolton’s “That’s What Love Is All About” in his season-three American Idoldebut; cut his own album, I’ll Be Seeing You, in 2005. INSPIRATIONAL | Parley L. Belnap (MM ’50), Robert M. Cundick (’57), Bonnie Lauper Goodliffe (BA ’65), Linda Swenson Margetts (BA ’70), Clay R. Christiansen (BM ’71), Douglas E. Bush (BA ’72), Don Cook (BM ’80), and Andrew E. Unsworth (BM ’95): Temple Square organists, either as designated performers or frequent guest players. Four of the six mainstay organists are BYU alums. Merrill B. Jenson (BM ’80) composed music for three Temple Square feature films (Legacy, The Testaments, and Joseph Smith—Prophet of the Restoration) and three temple pageants (Manti, Mesa, and Oakland). Jenson’s works encompass numerous symphonies and media projects. Orrin G. Hatch (BS ’59): Lyricist, composer, and U.S. Senator (R-Utah); his song “Hear Our Land” was performed at the second inauguration of President George W. Bush. Janice Kapp Perry (BA ’60): Composer; has written and recorded more than 1,000 inspirational songs; best known for her beloved Primary songs. K. Newell Dayley (BS ’64): BYU music professor emeritus and composer; recipient of the Legacy Award from the Faith Centered Music Association (FCMA). Ronald P. Brough (BM ’74): BYU music professor; percussionist for the Mormon Tabernacle Choir and Pan Jam, his family steel band. 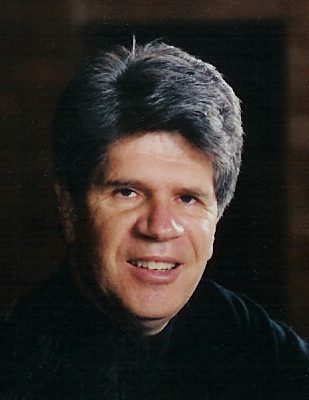 Michael H. McLean (’74): Composer and songwriter; author of The Forgotten Carols; has composed more than 20 albums and scores for numerous movies, including The Best Two Years. 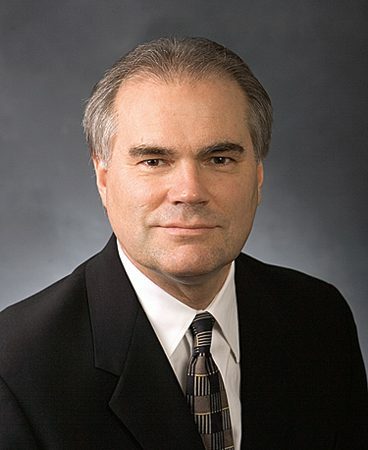 Randall Boothe (MEd ’76): BYU music professor and director of the Young Ambassadors; directed Light of the World, the spectacular presented by the Church during the 2002 Winter Olympic Games. David A. Zabriskie (BM ’80): Composer; wrote music for the Nauvoo Pageant. David W. Fletcher (’81): Composer; wrote Sabbath Song II; conducted the Mormon Oratorio Chorus in Carnegie Hall. 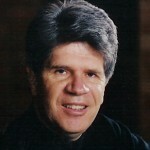 Ronald W. Simpson (BA ’83): Administrator in the School of Music; composed music for Church’s seminary videos. Staci L. Peters (BA ’88): Composer and publisher; cocreator of the Pearl Award–winning album series Women of Destiny. 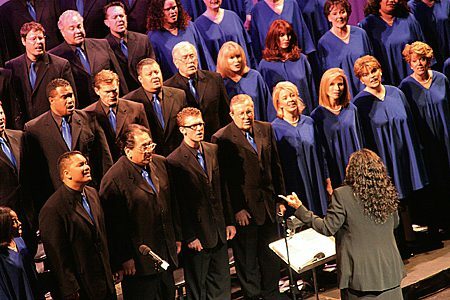 Saints Unified Voices choir, the Grammy-winning choir, led by Motown sensation Gladys Knight, has 29 BYU alumni in its 100-member chorus and an additional 21 BYU–Hawaii alumni. Saints Unified Voices welcomes various faiths and cultural backgrounds into LDS chapels to hear soulful gospel music. 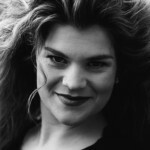 Hillary Novakovich Weeks (BA ’93): Singer; winner of FCMA’s Album of the Year award and numerous Pearl Awards. Tyler D. Castleton (BA ’94): Composer; has written more than 100 LDS and other Christian songs. Jenny Harris Phillips (BA ’96): Singer; top-selling artist on Deseret Book’s music label.Cherie A. 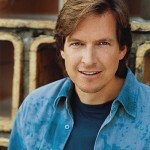 Call (BA ’03): Singer and songwriter; has won six Pearl Awards and recorded seven solo albums. INSTRUMENTAL | James W. Thatcher (BM ’75) is a leading Hollywood horn player, recording on 70 to 80 film scores each year. He currently plays principal horn for the Pasadena Symphony and the Los Angeles Music Center Opera and is an associate professor of French horn at the University of Southern California. 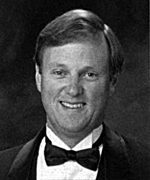 David M. Randall (BA ’65): BYU clarinet professor; performed at three Congresses of the International Clarinet Society. David H. Sargent (MM ’68): BYU composition professor; works premiered at the InternationalKodally Symposium. Julie Bevan (BM ’73): BYU cello professor; principal cellist of the Chicago String Ensemble for 15 seasons. Marden J. Pond (BM ’74): Composer and professor; arranged and conducted music for a special performance in Arlington National Cemetery on the one-year anniversary of 9/11. 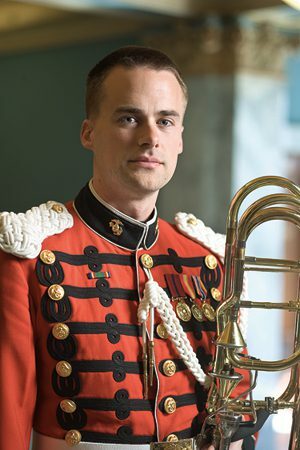 Donald L. Peterson (BM ’76): BYU music education professor; led the Cougar Marching Band and the Symphonic Band.Karl P. Johnson (BM ’98) is a bass trombonist gunnery sergeant in The President’s Own Marine Band. The band plays various private events for the president of the United States, including the annual Easter-egg roll.Jeffrey L. Shumway (BM ’76): BYU piano professor; member of the American Piano Duo; has arranged pieces for five pianos. Laurence M. Lowe (’78): BYU horn professor; soloist at five International Horn Society workshops. Michael K. Runyan (BA ’78): Harmonica soloist with the Baltimore Symphony, Houston Symphony, and many others. Also published more than 100 choral works and arrangements. 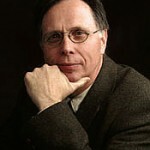 Michael D. Hicks (BM ’80): BYU composition professor; his chamber and solo works have been performed across the country. 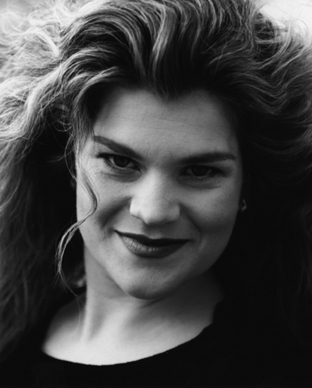 Kelly Clark Parkinson (BM ’80): Violinist and international soloist; recorded in Disney’s The Little Mermaid, Oliver and Company, and Newsies. Brady R. (BM ’85) and Carol Goodwin Allred (BM ’84): University of Utah music professors; performed as artistic ambassadors for the U.S. Information Agency. LeeAnn Jolley Morgan (BS ’86): BYU violin instructor; former member of the Bellevue Philharmonic, the Northwest Symphony Orchestra, and others. Daniel E. Gawthrop (’88): Composer; recipient of more than 100 commissions. Once a music critic for The Washington Post. Jeffrey D. Manookian (MM ’88): Pianist and composer; international prizewinner and composer for Warner Bros., Feature Films for Families, and more. Claudine Bigelow (BM ’91): BYU viola professor; played with the National and Utah Symphonies and the Smithsonian and National Chamber Orchestras. Christian B. Smith (BM ’91): BYU bassoon professor; principal bassoonist in the Orchestra at Temple Square; has recorded in numerous film and television scores. Stephen R. Thomas (BM ’91): Pianist; professor at California State University, Stanislaus, and an international performer. Steven L. Ricks (BM ’93): BYU trombone professor; won three Barlow Endowment Commissions; directs the Electronic Music Studio at BYU. Hillary Haddock Kimball (BM ’95): BYU flute instructor; won first prize at the National Association of Music Clubs Competition. Todd S. Coleman (BM ’96): Assistant professor of music at Elon University in North Carolina; compositions incorporate digital visual elements projected behind live performers. Nathan L. Hofheins (BA ’97): Arranger for the Orchestra at Temple Square and the Mormon Tabernacle Choir. Wrote the score for the movie Brotherhood of the Wolf. 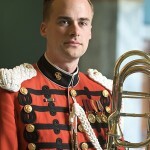 Rone E. Sparrow (BM ’97):Percussionist; section leader in the United States Military Academy Band at West Point. Winona Vogelmann Fifield (MM ’99): Violinist; began studies at Juilliard while in high school; played with the Schleswig-Holstein Orchestra throughout Europe. Nathan B. Fifield (BM ’01): Pianist and conductor; director of music for the Tulsa Ballet. 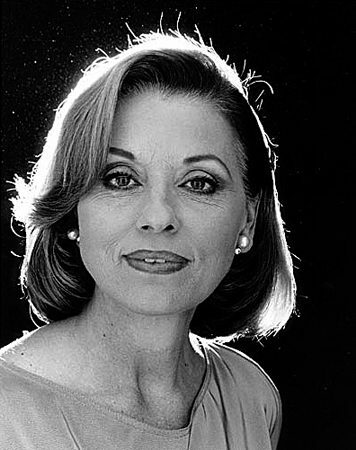 OPERA | Ariel Bybee (BS ’65), a legendary star of The Metropolitan Opera, sang 18 consecutive seasons in New York City’s Lincoln Center for the Performing Arts. Her voice has been heard in numerous other operas at home and abroad, in motion pictures, on stage with the New York City Ballet, and on two solo albums. Jack Morris (BA ’63): Tenor; opera director at Western Washington University for 20 years; has sung more than 40 major roles and in four different languages. 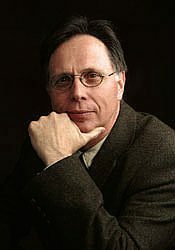 J. Arden Hopkin (BM ’71): BYU voice professor; teaches at the Crittenden Opera Workshop in Washington, D.C.; frequent oratorio soloist. Murray E. Boren (BM ’75): Composer of nearly 100 chamber works and nine operas, including The Book of Gold, written for the celebration of Joseph Smith’s 200th birthday. Lawrence P. Vincent (BA ’73) was awarded Austrian citizenship for singing lead roles in more than 600 opera performances in Vienna during a five-year solo engagement. 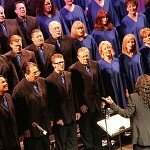 Vincent, a BYU vocal professor, has performed as a soloist in more than 20 countries. Christian T. Asplund (BM ’88): BYU associate professor of theory and composition; prolific opera composer andsoloist. Ruth M. Christensen (BM ’91): BYU voice professor and mezzo-soprano; national finalist in San Francisco Opera’s Merola Program. 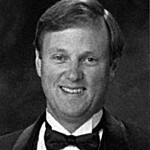 M. Todd Queen (BM ’94): Tenor; artistic director of Opera Fort Collins and director of opera at Colorado State University. Lindsay Robison Killian (BM ’98): Soprano; grand finals winner in the Metropolitan Opera National Council Auditions in 2000. V. Issac Hurtado (BM ’99): Tenor; principal artist in residence with Opera San Jose. Thomas G. Glenn (BM ’99): Tenor; portrayed the lead tenor role in the new opera Doctor Atomic. Brian C. Stucki (BM ’00): Tenor; spent the last year touring in Israel, England, and Mexico City; performing in three stateside operas this fall. Nathan D. Northrup (BM ’01): Tenor; performing in his first professional leading role this year, performing in Germany as Ernesto in Don Pasquale. BROADWAY | James Royce Edwards (BFA ’01) has a Broadway résumé that includes Hairspray, Mamma Mia!, All Shook Up, Les Miserables—the list goes on. He’s also done film, television, and magazine modeling work. Royce Campbell Twitchell (BA ’63): Vocal coach; played piano in the pit on Broadway; judges new musical submissions to the National Music Theater Network (NMTN). Mindy Smoot Robbins (BFA ’99): Performer; Les Miserables national Broadway tour vet. Christeena Riggs Driggs (BFA ’00): Performer; acted in the national tour of Wicked; has also appeared in Broadway musicals Cats, Les Miserables, and others. William R. Swenson (BFA ’02): Performer; seen in Broadway’s 110 in the Shade, Lestat, and Brooklyn. Sandra Dudley Turley (BFA ’02) joined the Broadway Les Miserables cast as Cosette’s understudy. One year later, she was offered the role, which she held for three years. Turley was the last to play Cosette with the original Broadway cast. 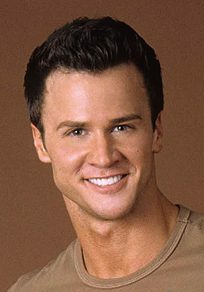 Clark L. Johnsen (BFA ’02): Performer; debuted as an original cast member in the Tony Award–winning revival of La Cage Aux Folles. Noel E. Twitchell (BA ’60): NBC stage crew; worked on the national Broadway tour of Me and My Girl; judges new musical submissions to the NMTN.Jason W. Celaya (BFA ’03): Lead in off-Broadway Altar Boyz; vied for the lead in Grease on NBC’s You’re the One That I Want. Carlos L. Encinias (BFA ’04): Performer; part of the Mamma Mia! and Good VibrationsBroadway casts. Dallyn V. Bayles (BFA ’04): Performer; seen in Les Miserables in China; played Joseph Smith in the Nauvoo Pageant. Paul S. Canaan (BFA ’05): Performer; currently in Legally Blonde: The Musical on Broadway; also seen in Chitty Chitty Bang Bang, La Cage Aux Folles, Miss Saigon, and others. Cody Walker (BFA ’05) and Valerie Chamberlain Walker (BFA ’05): Performers; lead roles in the national Broadway tour of 42nd Street. Summer Wood Smart (BFA ’06): Performer; member of the Chicago cast of the Broadway musical Wicked. MEDIA | W. Vaughn Johnson (BA ’84): Composer; wrote music for CBS’s The Amazing Race, NBC’s America’s Got Talent, and more. 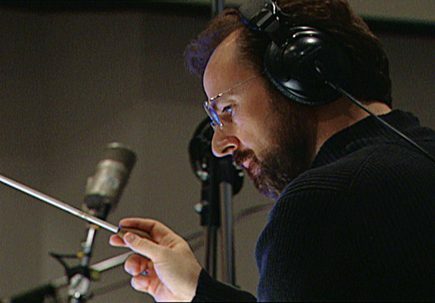 Arlen L. Card (BM ’86): Composer; has credits for more than 100 films; recipient of numerous awards; composer for the LDS film Joseph Smith—Prophet of the Restoration. Chance Thomas (BA ’87) composed music for the video games The Lord of the Rings, X-Men, and King Kong. He was the first video-game composer to produce music for an Academy Award–winning film (the animated short The ChubbChubbs! ), and he led the movement to bring game music into recognition at the Grammy Awards. Gregory B. Hansen (BA ’89): Music producer; has more than 400 albums, 80 film scores, and 900 sheet-music arrangements to his credit. Sam F. Cardon (BA ’93) is an Emmy Award–winning composer. 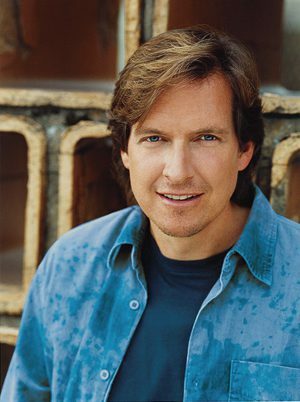 He has authored scores for nine large-format films, composed themes for the National Geographic Channel andGood Morning America, and provided original music for two Winter Olympic Games. C. Michael Perry (BA ’82): Composer; wrote music for PBS’s Emmy Award–winning Cinderabbit; also composed music for commercials, television shows, and two feature-length films. 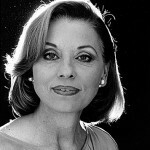 Susan Hobson Kenney (MM ’77): BYU music education professor; advised the TV shows Shari Lewis and Lamb Chop and Sesame Street on their music segments. Kurt R. Bestor (BA ’93): Composer; produced more than 40 themes for television, motion pictures, and theater, including music for the NFL, IMAX, and Ballet West. He won an Emmy forco-producing music for ABC’s coverage of the 1988 Winter Olympic Games. 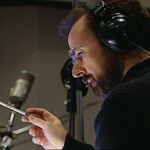 J Michael Bateman (BA ’94): Composer and producer; composed music for ESPN and for the film Saints and Soldiers.